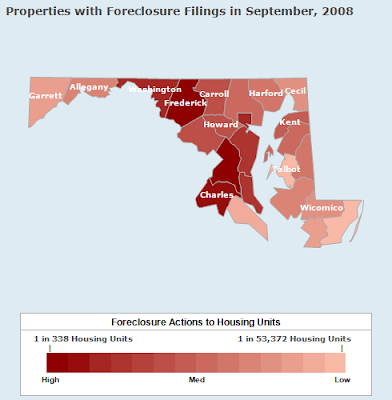 Realtytrac has perhaps the best foreclosure information in the U.S. Today, we tap into its hulking database to put Maryland’s foreclosure crisis in perspective. 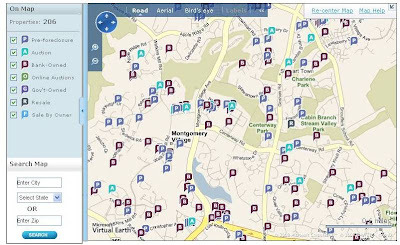 Above is a close-up view of one of the most intense foreclosure spots in the state: Montgomery Village. 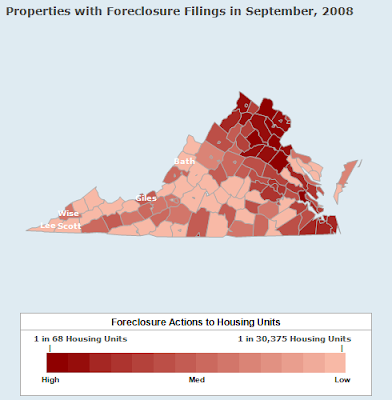 This map shows 206 foreclosed properties in about nine square miles. Nationwide, the worst foreclosure rates are in Nevada, California, Arizona, Florida and Colorado, in that order. 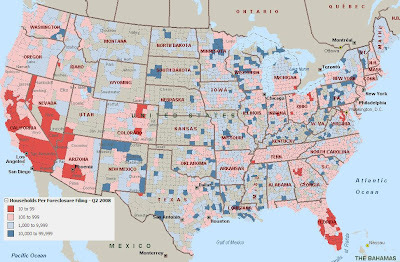 Here are the hardest-hit counties (or independent cities) in the U.S. I guess you can see this in one of two ways. An optimist would say that our problems are not as bad as some other places around the country. A pessimist would say that our problems could get a lot worse!